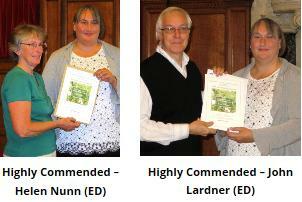 Oxford Town Hall was the venue for the ODFAA allotment competition awards ceremony held on 27 September, and John Garne Way (JGW) and Eden Drive (ED) allotmenteers were among the award winners, as can be seen from the picture gallery below. For enquiries about plot availability, use the contact form and state which of the three sites you are interested in. Currently, there are vacant plots at John Garne Way and Brasenose Farm. Sunday December 4 2016. A party in more than one sense of the word. It was certainly a work party – ad hoc trimming of overhanging trees over the previous few months had resulted in a sizeable pile of foliage. So the work was to shift the pile to a plot out of smoke-reach of the nearby hospital and burn it. Many hands made light work (there is a pun there somewhere). 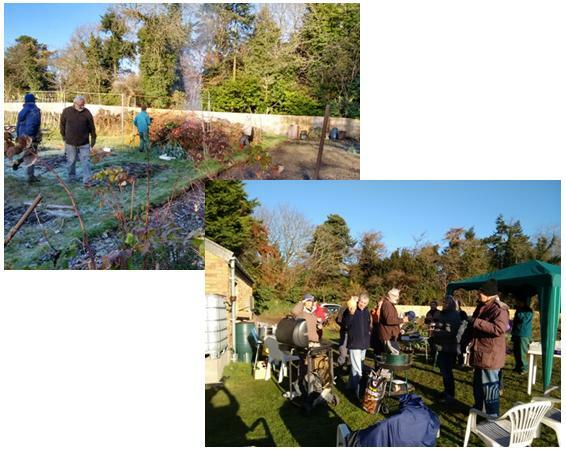 A well-deserved pre-Christmas party followed, with mulled wine and lunch-spoiling seasonal eats brought along by the allotmenteers. As can be seen from the pictures, it was a crisp and beautiful day, judged a great success by one and all. The Association’s Annual General Meeting, held on Tuesday 6 February 2018, was well attended by members of each of the three sites. Ron Smith, who sadly passed away some time ago, had been a stalwart at John Garne Way for many years. To honour his memory, the site members agreed to create an annual award for the best site newcomer, to be known as The Ron Smith Memorial Cup. The winner for 2016 was Xiahui Ren and the 2017 Annual General Meeting of the association provided a suitable context for the the presentation. Xiahui Ren, flanked by David Ruffels and Eric Perkins, was happy to be awarded the Ron Smith Memorial Cup for best site newcomer. 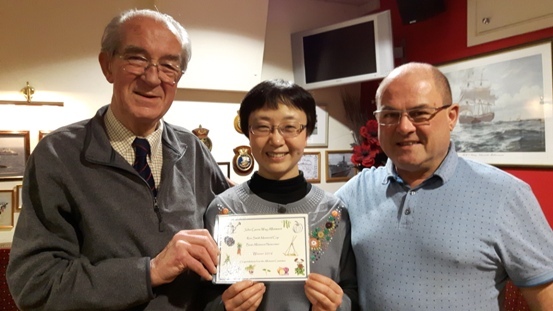 The cup itself was unavoidably absent from the proceedings, but the certificate shown was unassailable proof of Xiahui’s achievement.